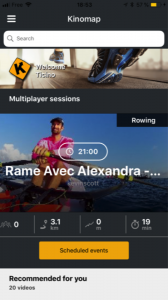 To check if their rowing machine is compatible with Kinomap, teams can visit https://www.kinomap.com/en/compatibility. They will then need to create their account directly on https://dashboard.kinomap.com/en/login. Once the account is set, members will be able to add an avatar on their account on https://dashboard.kinomap.com/en/account. There will be an option for you to create the accounts early in advance and share the ID with the participants. 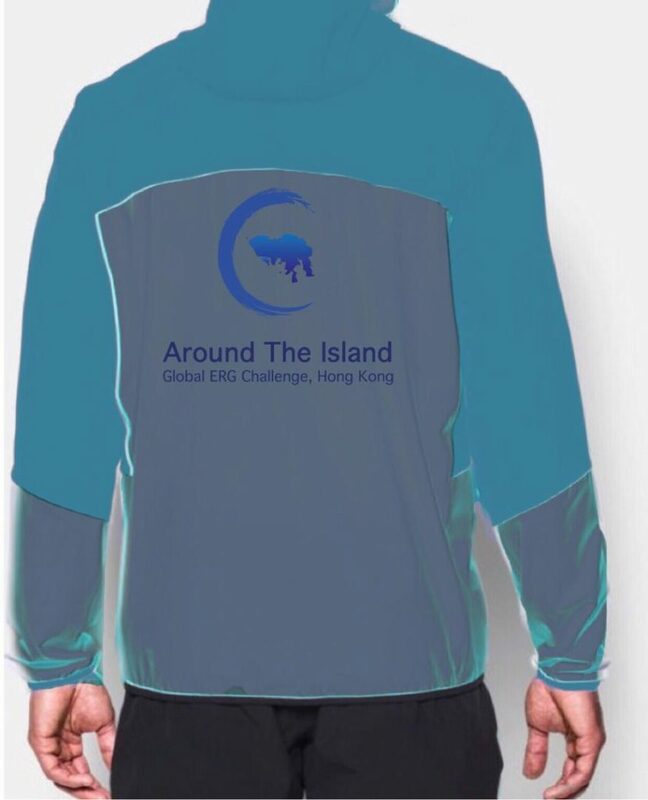 All Global Erg Challenge racing will take place within a 12-day Race Window, from November 17th at 00:01 Hong Kong Time, until 24:00 Hong Kong time on November 28th. This will allow teams in global time zones to participate in the race at the time that best suits their schedule and fitness levels. Go to the main menu to add new equipment. In order to synch your phone/ipad with the rowing/paddling machine, if you have a Concept 2, check to see what model it is (via the settings/equipment mode). If it is under #600, the synchronization process will be a different Bluetooth link than if the model is over #600. For machines other than Concept 2s, please please refer to this guide from Kinomap to see which machines are compatible for synchronization with your phone/ipad. You will be able to watch a full video of your race around Hong Kong Island, which will move at the speed that you travel on your machine. To enhance this viewing experience, the larger the screen you have, the better. So, you can mount your device (phone or ipad) which is synched to the Machine, to a location where the rower/paddler can watch it as they move around the Island in “real/virtual time.” Note, that this event is geared towards the rowing community, with the view of the video looking backwards, as rowers do. If we have a large uptake of “forward looking paddlers”, we will create videos for both frames of reference and adrenaline for next year. If you are in a “bandwidth, wifi or internet constrained” environment, it is possible for you to download the entire 3.5 hour race video (estimated time of circumnavigation) to your hard drive, so that you can then synchronize this with your app/machine, but you can watch it on a TV or large screen, while also not streaming it from the KinoMap site. Participants will have to subscribe if we decide to make a subscription-based race. The Alternative would be to make the video as free. To be discussed. 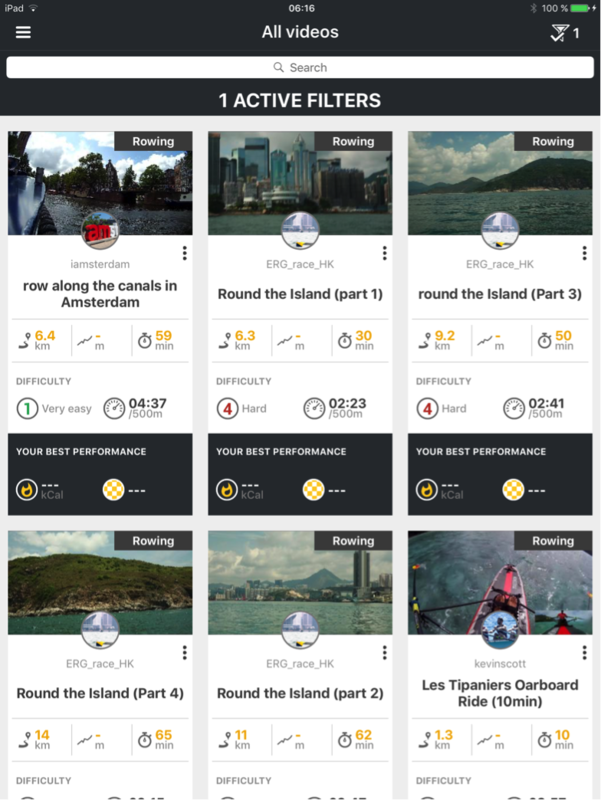 The Global Erg Challenge around Hong Kong Island will be available on the KinoMap app during the Race Window period, allowing you to see the beauty of Hong Kong Island from anywhere in the world where you are racing. Enjoy the amazing cliffs, coastline, high rises, boat traffic and overall awe of this amazing island city as you circumnavigate with your team (or in full “iron mode” if you are going solo). Before you start the race/relay, make sure you decide as a team, if you want to count “up” with a time clock that adds time, or count “down” from 45km distance, to zero distance. You may prefer either depending if your team is changing people based on TIME, or based on DISTANCE. Either option will not impact your race results on our platform. Each team, regardless of how many people on that relay team, will race on the SAME machine, with a collective time for 45km. Once one of your phones or ipads is connected and synchronized properly to the machine, you can start the race on your own time and readiness. You will not be able to stop the event and come back later to finish. The app time-stamps your performance, and though you can take a break if you want, that time “down-time” will be part of your overall race time. The order of people in your relay, and the time or “distance” that they race, is up to your team’s decision. You can each change every 5 minutes, or have someone do 90% of the race by themselves. It is up to you to optimize the efficiency of your race crew, to have the maximum impact, and shortest time on the 45km course. 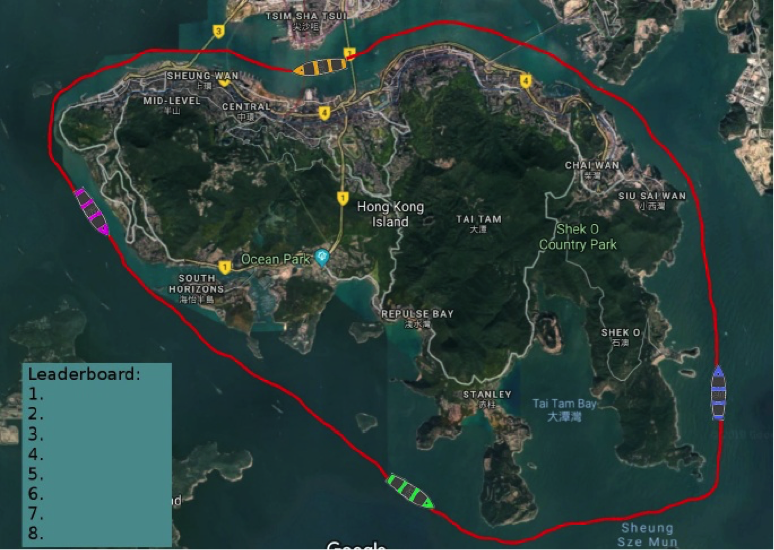 Lucky you, no waves, like the coastal rowers, but maybe in the future, now that you love the views of Hong Kong, you will come one day to undertake the actual on-the-water ATIR race! You are allowed to enter race times for the 45km distance as many times as you want within the 12-day race window. We will take the fastest time that you present to the Race Committee before November 28th, and that will be the time, with your avatar, that races around the map of Hong Kong Island, visually, on race day, on the live race map on December 2nd, which will start at approximately 09:00 Hong Kong Time, with the live coastal rowing ATIR race. Once you have submitted your race times by November 28th, you will be able to sit back and relax when you watch the live race day show, which will link with the actual on-the-water race. All of the avatars of each team will be able to be viewed on a map, showing each team’s movement around the island with respect to the other 10 closest teams within your category. You will be able to enjoy a race production video of the events, excitement and adrenaline of racing around Hong Kong Island on the water. You will receive a link to share with all of your friends, family and coaches, so that you can watch your performance, together, from virtually anywhere. Winners will be posted as the avatars from all of the teams/solos cross the finish line, 45km after the start of the race. Rankings will be available after the race under the video page like this one or contest video here on which you will be able to download the list of participants with all details. We will have a competition for the best video clips of your team training, competing, people cheering for you, or interviews of why you joined this race, what inspired you, and why you care about the ocean and the environment. We will select videos which are 30 seconds or less, to be aired on our Race Day video. Inspire us with your creativity, energy, and goals, pledges or interests in ocean and environmental protection. Send your video clips on a link to us at: racing@globalergchallenge.org by November 20th, and 30 seconds or less. You can submit more than one. You can even make them on your smartphones. Aside from being an amazingly cool, iconic, global race, which people from around the world can participate in during the real on-the-water event, the goal is to bring sports and the environment together. Athletes are (and should be), the world’s best ambassadors for the protection of the environment, because they tend to use the outdoors for training, competing and recreating more than the average person. Your interest in our waters (fresh or salt) is an important component in broadening ocean appreciation and good water/environmental stewardship. 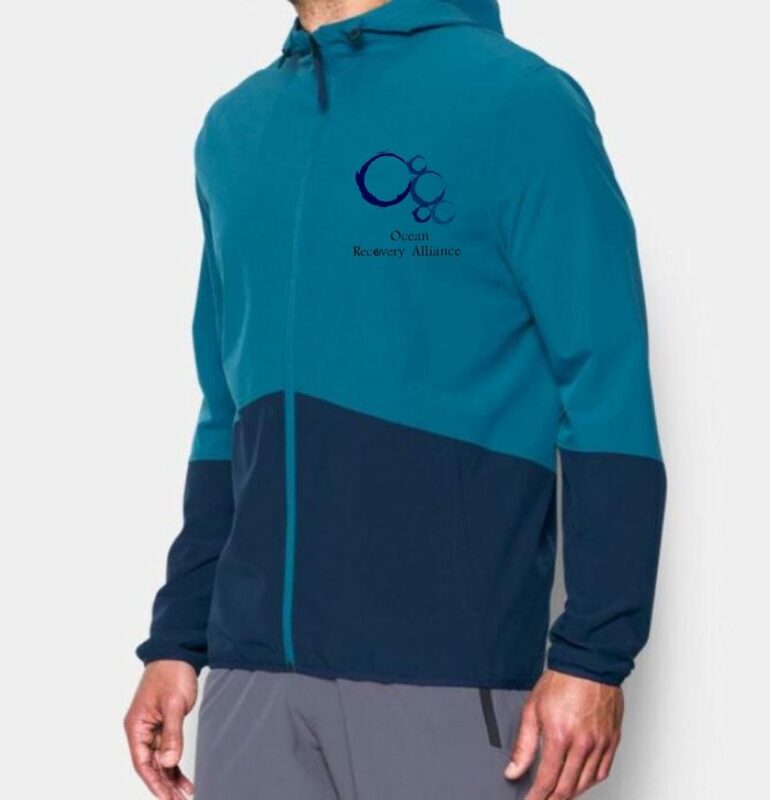 The teams with the highest level of donations as of 24:00 Hong Kong Time on December 9th (one week after the race), will win a special event windbreakers. More FAQ, user guides and support desk are available on http://support.kinomap.com. In addition, please feel free to contact us via email for any additional questions about the race.